This contest will reward the most innovative Fintech and Insurtech start-up in the areas of Credit Risk and Insurance. 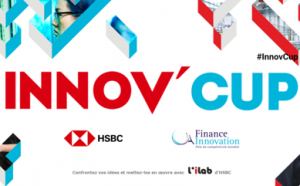 Following the creation of its Innovation labs, HSBC is very aware of the demands facing the start-up ecosystem and this is why it has launched the Innov’Cup! The Awards’ ceremony will be held on the 12th of December at the next edition of Fin&Tech community! 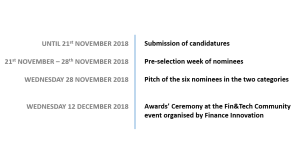 Challenge: Generate innovative scorings in the framework of credit risk for individuals and SMEs within an open APIs environment. Challenge: Contribute to the diversification of a Bankinsurance company’s distribution channels and propose a new business model in compliance with the rules to combat fraud, money laundering and financial crime.